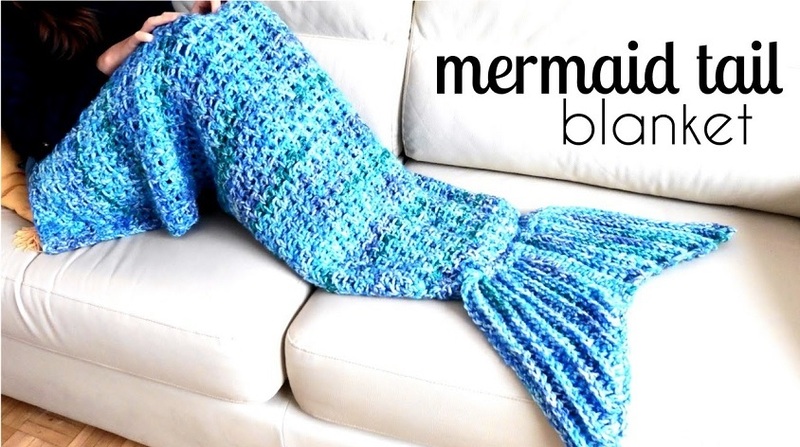 Today we are going to learn to crochet a beautiful mermaid tail. We are going to learn to crochet this pretty tale the way that it is going to serve as a blanket. We can make it in a sleeping bag shape so that we can crawl in the beautiful and cozy blanket when feeling a little frosty. This blanket will going to be very useful on the cold days of winter and chilly evenings of summer. You can use it at home as well as outdoor in your yard. The beautiful blanket comes with a video tutorial and written guidelines. The tutorial is time consuming but an easy one.